Hi, I'm Naz. 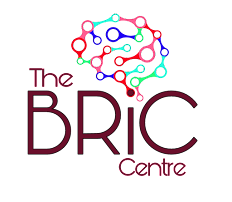 I'm an academic at the Department of Psychological Sciences (ranked 5th in the UK for research) at Birkbeck University of London with a special interest in the effects of anxiety and depression on behaviour. I am especially interested in what factors make us prone to the effects of anxiety and depression. 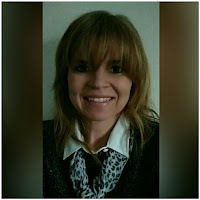 I have spent over 20 years researching the cognitive and neural mechanisms of anxiety and depressive related vulnerability. Our research has shown that attentional control and processing efficiency can play a determining role in the onset, maintenance, and recurrence of anxiety and depressive symptoms. Recently we have developed interventions to improve cognitive function in the hope to reduce emotional vulnerability. On January 2, 2013, I was diagnosed with multifocal breast cancer when I was in my 30s, in the prime of my life, and my daughter was just under 3 years of age. It took me a while to regain my confidence post cancer treatment and slowly I became determined to apply my research knowledge to target emotional vulnerability and promote resilience towards a better quality of life in breast cancer. I was passionate to set up the centre for building resilience in breast cancer which was founded on October 19, 2015. It took me a while but I got there! Our private educational support group now has just under 290 members in only three months. Tamsin and Vicky were two of the amazing members of this group who now manage the group with me. It is because of them that the centre's blog: Panning for Gold has materialised. Through their dedicated efforts they launched this blog to reach out to the lovely ladies whose lives have been affected by breast cancer, to share the highs and lows of their stories to help us build resilience post cancer diagnosis. My name is Tamsin. I live in London now although I grew up in North Wales - quite literally on the side of a mountain! 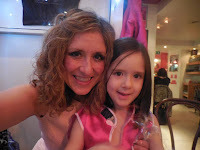 I was first diagnosed with breast cancer just after my 40th birthday when my daughter was 2 years old. After a second diagnosis in 2012, it is really important to me to do something positive with my experience of cancer, especially as it was no longer possible to pick up my life where I had left off. As a social worker, I've built a part of my life around helping others. I'm fascinated in the idea of how we can promote our resilience when dealing with any adversity, particularly after a cancer diagnosis - the essence of Panning for Gold. I feel so lucky to have met Naz and Vicky, two amazing women, and to play a small part in this exciting project. 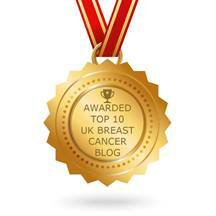 Hi, I’m Vicky and in 2006 at the age of 31 I was plunged into shock when diagnosed with breast cancer. Following this life changing event I had the enormous pleasure of welcoming my two children into the world and have been busy as a stay at home Mum ever since. 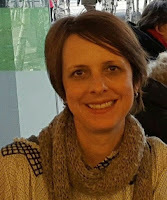 Sadly my relationship with cancer was not over when in 2015 at age 40 I was diagnosed with metastatic breast cancer, which means it has invaded elsewhere in my body and is now classed as incurable, so changing the shape of my future. At a time when I was treading water and losing my way a little, I found some wonderful support groups and through those was fortunate to discover the Centre for Building Resilience in Breast Cancer dealing with a subject I can truly relate to…resilience in the face of adversity. To then find two amazing ladies, Naz and Tamsin, and be able to work closely on this project with them is extremely exciting.